Great review — and tremendous justice to Miyama province! 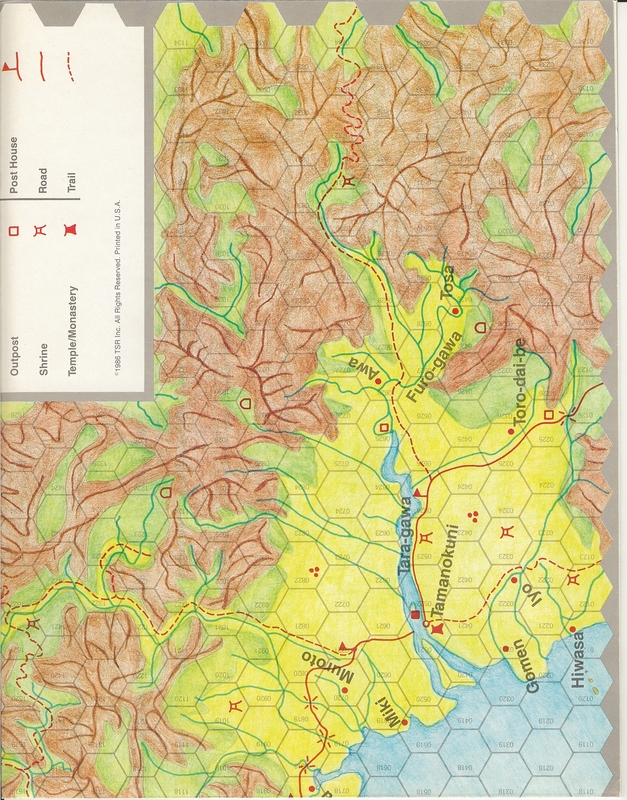 Do the original maps really look like they were colored in with colored pencils? That would make this even cooler, imho. They did look like that…and they were awesome all the same! 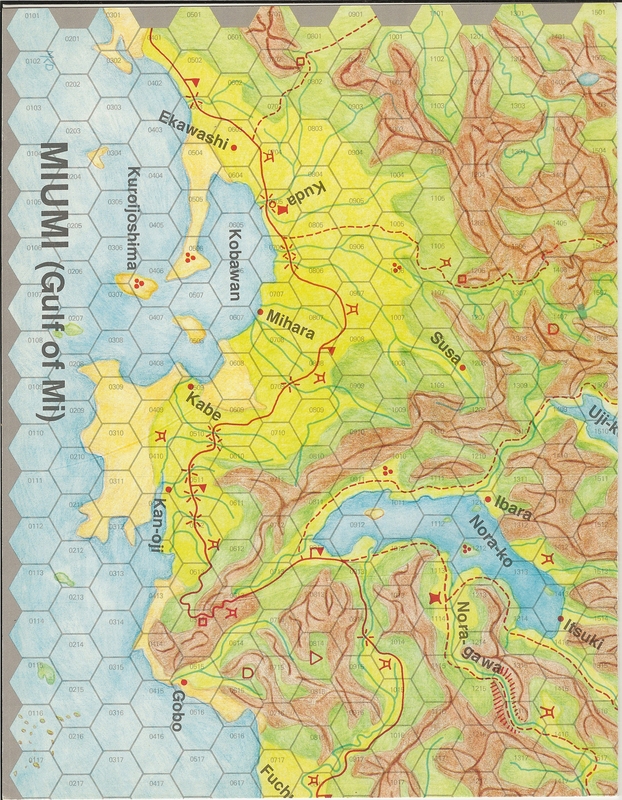 So there are some games that I love to play – Pendragon and various Marvel Super Hero type games – and then a whole bunch of games I would like to run more often but tend to lose out to other things: Mouse Guard, Sorcerer, and Alternity being the major contenders. But it is SOOOO tempting to do a game in Miyama, if I weren’t fighting off my infatuation with Charlemagne. The problem I always have with D&D is that it doesn’t really “end” in a 5-6 session arc. That’s just enough time to build identification with a character and get caught up in the saga, and then there aren’t mechanisms to tie up saga-level loose ends very well. I think you’re wrong about this and I offer to prove it to you by playing in a 5-6 session arc of this here nifty sounding thing. Usually, if I get to make the character in the context of some familiarity with the world outside of the DM’s interpretation, I’m ready to identify and strive from the first session. Congrats on presenting another great gaming world which you are already planning your exit strategy from. Your fear of being locked in some ‘unhappy’ 20+ session game where the players keep wanting to interact with the world is always fun to contemplate, however. Thanks for the review and all. 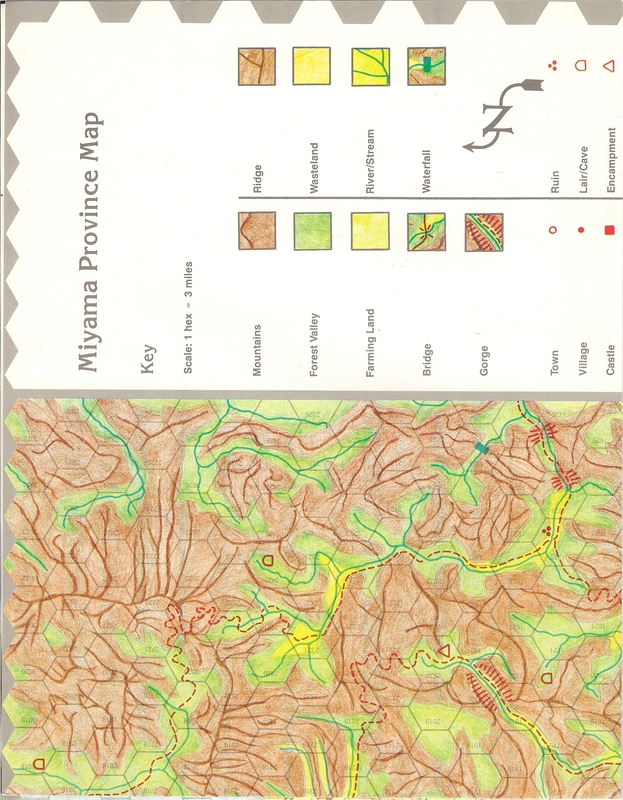 Amazing scan quality of the Miyama map! Much appreciated! 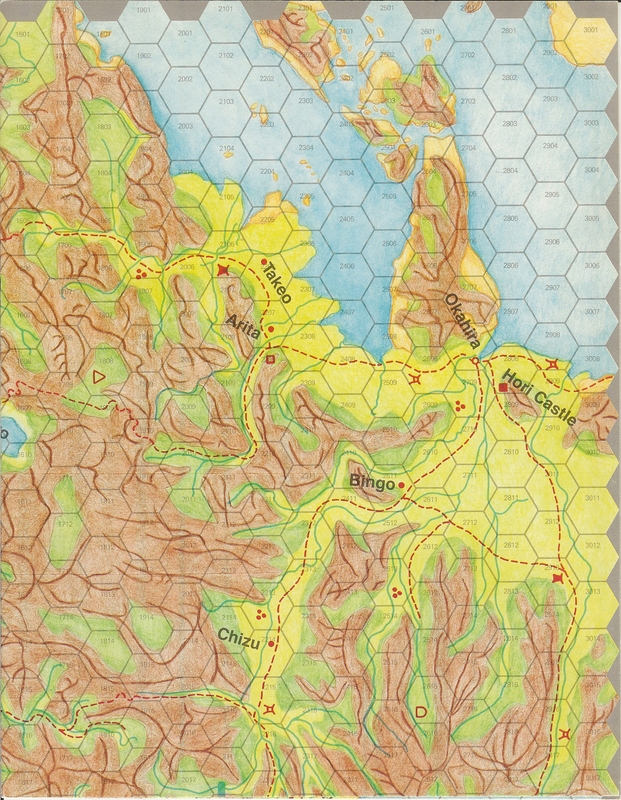 I have the original map tucked away somewhere, but it is pretty worn and I could never have done such an incredible job at scanning it anyway, Totally agree that the Campaign background booklet for this adventure module is nothing but amazing and very inspiring indeed.